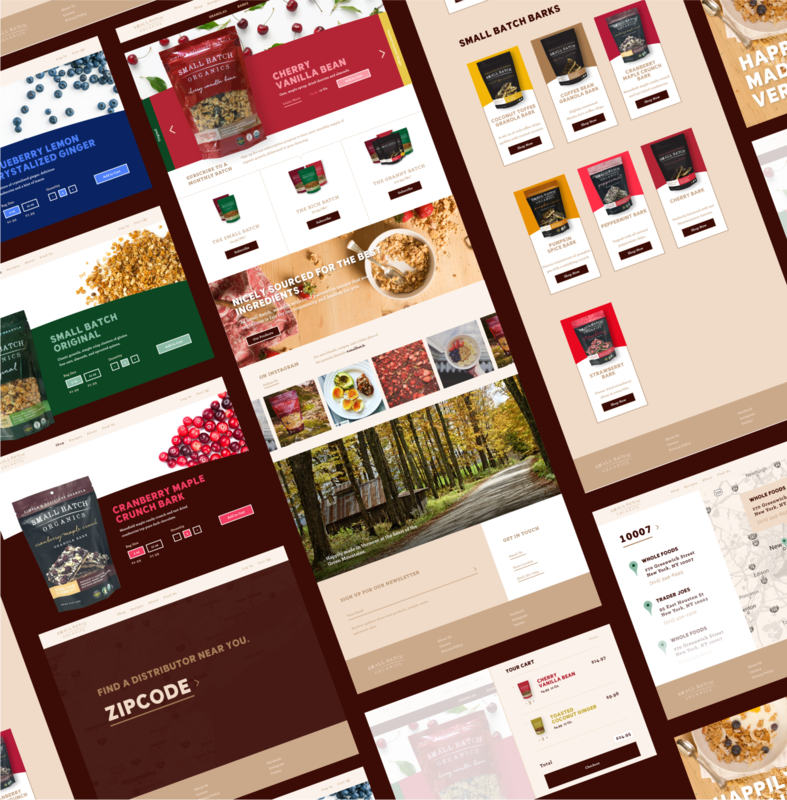 Small Batch is a boutique producer of certified organic and gluten-free granola and chocolate barks, and one of CMYK’s oldest clients. Our relationship with Small Batch began in 2014 when company founder and chef Lindsay Martin first approached us to help design her brand and expand her market from its birthplace in the foothills of Vermont to homes across the country. CMYK worked with Lindsay and her team to create a company logo, design product packaging, and develop an initial website—we even handled the food photography that would serve as the basis for content on the site! 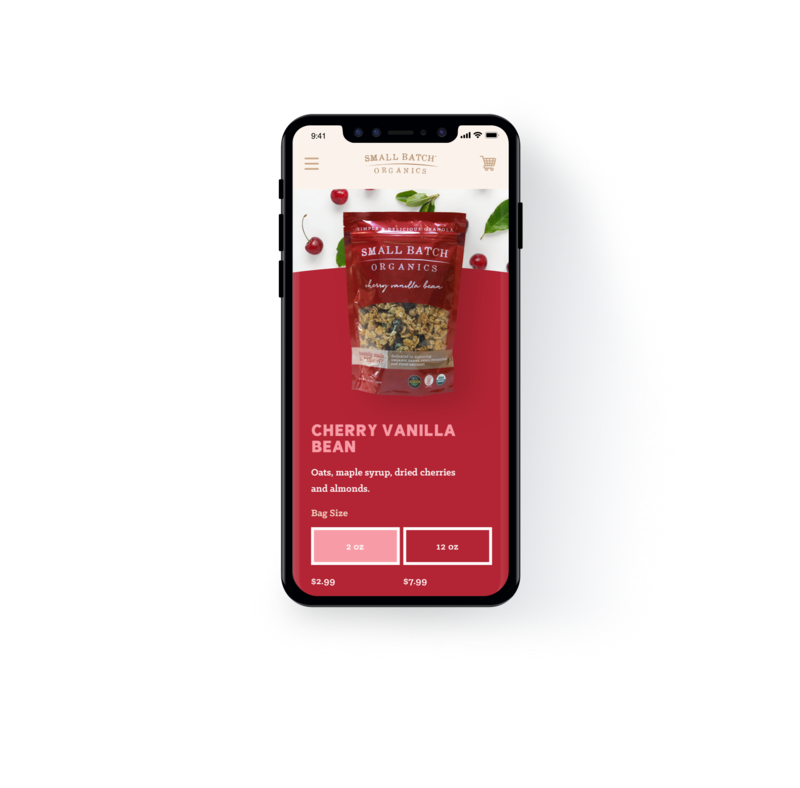 Most recently, we returned to Small Batch’s web presence in order to revamp their site and build out robust e-commerce functionality to make it easier for longer distance customers to have their favorite granolas delivered to their homes. 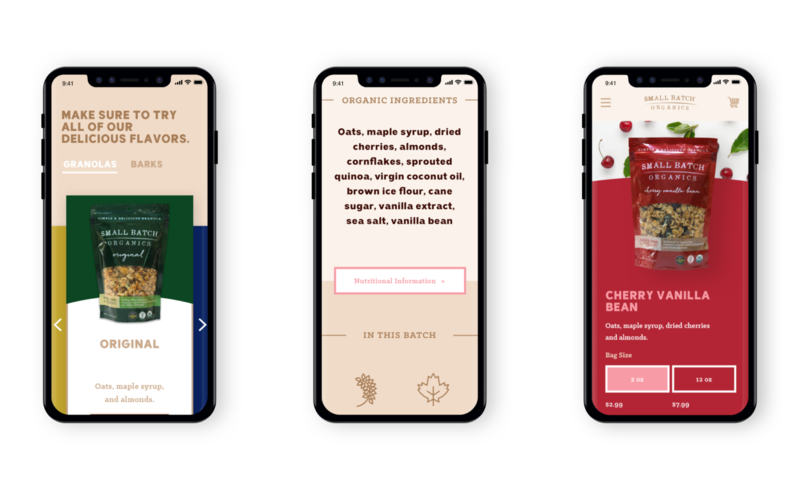 For the updated site, our priority was to design and develop a clean and highly-functional platform to highlight the things that make Small Batch special, such as the locally- and sustainably-sourced ingredients that Lindsay uses in all of her products, and which would be flexible enough to grow in tandem with the company. Beginning with the identity we developed for Small Batch at the start of our relationship, we extrapolated a brand expression across the site while making sure that all content and calls-to-action focus the user back onto the products being offered and make placing orders simple and intuitive. At CMYK, we love our long-term clients and it is a mark of pride for us when we get the opportunity to develop a brand over the course of years and watch their successes unfold. 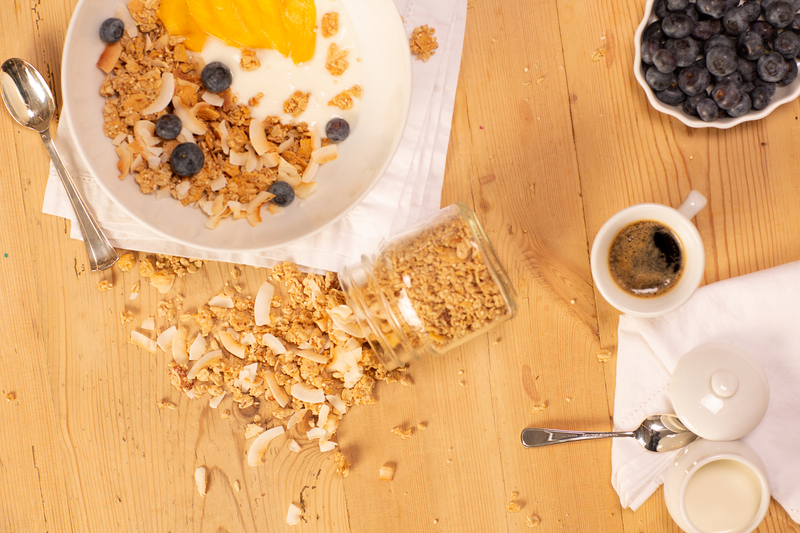 Today, we’re looking forward to many more years partnering with Small Batch (and many more flavors of their delicious granola! ).